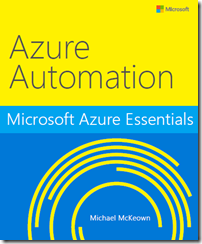 We’re happy to announce the release of our newest free ebook, Microsoft Azure Essentials: Azure Automation (ISBN 9780735698154), by Michael McKeown. This is the second ebook in Microsoft Press’s free Microsoft Azure Essentials series. Future ebooks will cover specific Azure topics, such as Azure Machine Learning, Azure Websites for Developers, and others. A major challenge in any web application is implementing its security. In traditional web development with ASP.NET (from version 2.0 onwards), we have been using Membership and Role providers. These providers allows us to define Roles, Users and assign roles to users which helps us to manage Authorization. But with an increase in social networking and global authentication providers, we needed an upgraded membership system. ASP.NET Identity is the new membership system for building ASP.NET web applications, phone, store, or hybrid applications using social identities for authentication and authorization. First let’s start off with there is no perfectly safe multithreaded event handling as there are caveats/conditions that must be handled. So it’s really if the particular method you plan to use is safe for the uses you require. I’m going to show there is another problem to contend with and I will offer some classes to help handle some scenarios plus propose some alternative options you could use, but it depends on if your events can be used that way. Ultimately it depends on what you need to do, and implementation/use and the complexity you wish to manage.